On September 1, LCD Soundsystem will release American Dream, their first album in seven years, via DFA/Columbia. James Murphy and company released two new tracks earlier this year, “Call the Police” and “American Dream,” and today they’ve shared a new video for the next single, “tonite.” It’s a funky electro-disco track, with a fat synth bassline and a groovy rhythm, and the video, directed by Joel Kefali, is an old-school performance clip that finds the band performing on a soundstage with lots of bright lights. 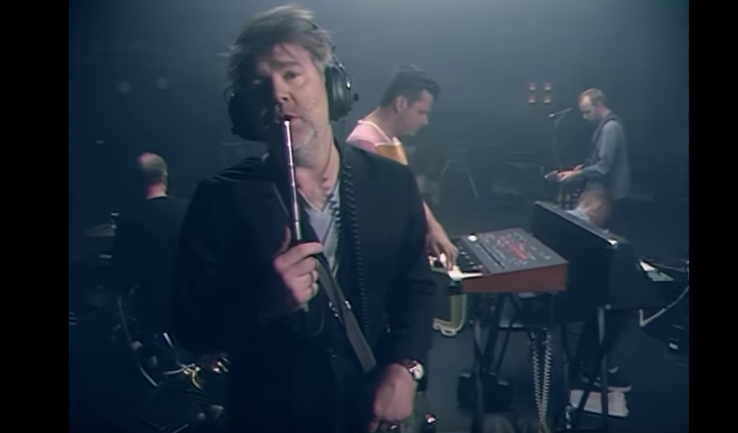 And James Murphy walks around the stage with a mic as the camera revolves around the band performing. Watch the LCD Soundsystem “tonite” video below. LCD Soundsystem’s self-titled 2005 album and 2007′s Sound of Silver are on our list of the Top 100 Indie Rock Albums of the ’00s.